You can now customize the API response by passing in a fields query parameter with a comma separated list of the fields you require. See examples and a list of all valid fields at our Docs - Customizing API Responses. We've completely re-designed our docs and re-written the code examples to be simpler and to fix those were not working! As well as included new community-contributed client libraries for Ruby, .Net and Swift! It'll also have a new search feature to help you discover guides and whatever else you might need. Let us know if you like the change! You can now whitelist the domains and IP addresses from where your API key will be used! This can protect your API key from quota theft if it is ever exposed or if you use the API client-side. This feature is limited to paid plans. Contact support to enable protection for your API key! Business plan users can now continue to make requests even after their quota has been exhausted. Extra requests are billed at $1 per 1000. Note that this feature is opt-in and you need to contact support to enable it for your API key. 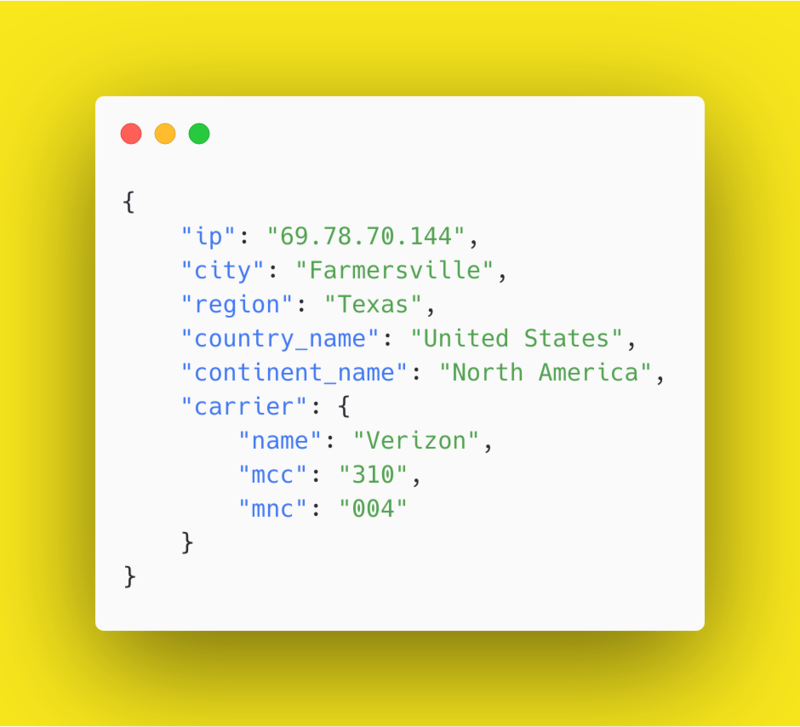 You can now lookup up to a 100 IP addresses in one API call! This combined with the general speed of ipdata's API means you can geolocate millions of IP addresses very quickly! This feature is currently limited to paid users. Contact support if you need to lookup more than a 100 IPs at a time. See the Bulk Lookup Docs for more details. Big news today, we're starting a public changelog so you're always up to date with all the updates, improvements and fixes that are made in ipdata. Even though we work on ipdata all the time, sometimes it may seem that not much is happening. This changelog is here to improve that very important part of the communication between you and us. Surely ipdata will start publishing changelogs very soon.